You just got your brand, spank’n new CCW. You can’t wait to show your friends and family and carry your new $1,000 dollar Glock to the park, because, America. The first thing you purchased is a nice inside of the waistband holster, a mag carrier, and a weapons light, you want to be prepared for anything that comes your way. But what about concealed carry Insurance? Keep reading to learn about the best concealed carry insurance of 2019. So, there you are, at the supermarket and right in front of you while standing in line the guy ahead of you decides to make a withdrawal from the cash register at gunpoint. You snap into action, draw your weapon and take the shot. You miss, scare the crap out of him and hit the tobacco display. The suspect runs and you stay at the scene waiting for the cops. To decrease your chances of missing, check out these 5 Gun Targets to Increase your Marksmanship. The one thing you didn’t get, the one thing you didn’t buy. CCW Insurance. Now, you find yourself at the police station, answering questions. The person who was standing behind you made the statement, “He didn’t have to shoot at him!” and now she wants to sue you because she can’t work due to “PTSD”. Oh, did I mention that the supermarket also wants to sue you? Yeah, you now lost your home, cars and if you lose in court, you will have your wages garnished for the foreseeable future. How about them apples? 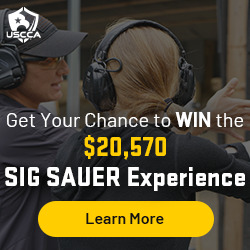 Trust me, if you decide to take on the risk of carrying a firearm in today’s “sue happy” system, you better source some CCW insurance. I have it, I know many who do and I hope after reading this article you start looking for some for yourself, before buying that $1,000 Glock, before buying your holster, mag carrier, and little weapon light. Do your homework, get the darn insurance and make sure it starts the same day you get that new CCW! The following four companies are ones you can look into and at the very least, point you in the right direction to get the process started. ReFactor, has no stake in these companies. I was not paid to represent any of these companies or push their products. Now, I am not going to cover every nuance of CCW coverage, but the finer points. This article will list the top selling points of the selected companies, their websites and who they are. It is upon YOU, the CCW holder to dig deeper into whatever membership agreements you enter into with these companies, do your due diligence. With this package, you get a subscription to their magazine, education, training, legal representation, member perks and access to their community. The Gold Membership gives you up to $500,000 for civil defense coverage and up to $100,000 in Criminal Defense coverage. The Platinum Membership provides you with everything the Gold Membership comes with and ups the Civil Defense coverage to $1,000,000 and the Criminal Defense coverage to $150,000. You also will be given additional video packages if you choose this coverage. For more information you can visit their website, linked above, and here is a link to their membership agreement, which can be found on the site as well. With their top tier “Elite” package, you see the Civil Defense coverage jump to $2,000,000 and Criminal Defense coverage goes to $250,000. There is also added perks, like lifetime access to all their back issues of the magazine and added perks of discounts with their partners. CCW Safe was co-founded by three gentlemen, one being a police officer and DOJ contractor, another police officer of over 20 years and a lawyer (general counsel). The company is based out of Oklahoma City, Ok. One thing I like about CCW Safe is they have an eclectic panel of advisors that cover many different professional areas. This panel includes the likes of Larry Vickers, behavioral physiologists, a women’s advisor and more, it really runs the table of experts. The plans they offer pretty much cover anything a CCW holder is looking for, which include, but not limited to, plans for active and retired LEO/Mil, CCW permit holders, constitutional carry (non-permit) holders, and home defense gun owners. These plans all vary in costs ranging from as low as $149 a year up to $499 a year. You can select the plan that best works for you and builds a plan with additional coverages if needed. It is pretty comprehensive and tailored to fit your needs. Before you go around carrying a weapon, check out these top 7 pistol targets and get some quality range time in. These courses are very reasonably priced and are a very nice touch to round out their insurance coverage and products. One of the biggest players in the firearms industry is the NRA. Love them or hate them they are here and they too offer insurance through their partner, Lockton Affinity. The NRA definitely have a polished website and support from many well-known players in the industry. One thing you get with the NRA is a known entity with deep pockets and connections. Which is a good thing, as they have been on the frontlines when it comes to anything firearm related. Lockton/NRA offers four (4) different levels of insurance coverage; Bronze, Silver, Gold and Gold Plus. Each coverage option allows you to choose a monthly payment, ranging from $16 dollars to $43 dollars a month, respectively. Each plan also allows for annual payment plans, once a year, ranging from $173 dollars to $508 dollars a year. The plans, like most companies, become more comprehensive as the rates change. Below I have provided links to each of the plans, click the link to be directed to the finer details. Each plan comes with other added perks and resources, please see the links for further details. I have used Lockton products in the past, not CCW coverage, and had a good experience. I am not saying they are the best on this list, just that it is the only company on this list that I have had personal experience with. As you can see, there is a pretty big difference when comparing plans, both in price and in coverage offerings. Take this into consideration when choosing, there isn’t much offered with the basic plan, that being said, it doesn’t cost much either. You get what you pay for, however, I am sure there are a lot of people that could benefit from the basic plan, something is better than nothing. Be a responsible concealed carrying American, go to the range and test out some of The Best Shooting Targets on the market to help improve your shot placement. On top of getting yourself some concealed carry insurance, make sure you do the training to back yourself up. The intentions may be good, but a person carrying a weapon who doesn’t know how to use it is a walking hazard. So, do yourself a favor before you even start carrying. Take classes, know your weapon and also learn how to draw your weapon from its concealed location. If you’re always practicing drawing from the hip with no obstacles, such as a hoodie, then you won’t be prepared and your speed will be hindered if the time every came and your clothing choice got in the way. In summary, if you are willing to carry your pistol and obtain a CCW, you need to do the research and invest in proper training that is relevant to your purpose for carrying concealed. With this a CCW holder should also obtain insurance to protect you, your family and your investments in the event an incident occurs. The companies I have listed run the gambit of offerings and price. Find the one that works best for your lifestyle and budget, there are no excuses for someone not have this type of coverage. You left off one very significant company from your review, US Law Shield. I have been a member of several of the ones you profiled, but eventually went with US Law Shield after a careful comparison of the plans, particularly when you consider the fact that at the level of protection one truly needs, the plans you reviewed are way too expensive for the average American family to afford. And at the lower levels of protection one is still on the hook for hefty legal bills. Law Shield’s cost/protection ratio is the most economical, hands down. But don’t take my word for it, do your own homework, along with your own range time.